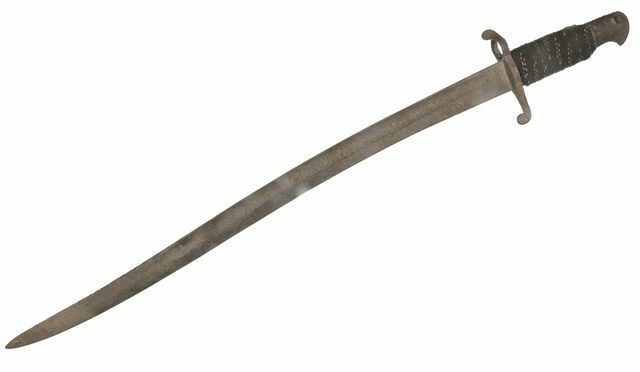 SABRE BAYONET, Heavily pitted and rusted. 22 3/4 " Blade. Relic with incorrect cloth grip, Original.